I’m a huge fan of old architecture. I really love to wander the downtown areas and take it all in. The dichotomy of the old and the new. About a week ago, I was riding the DART train into downtown Dallas. I had to switch trains and jumped off at Pearl Street Station in the heart of old Dallas. As I sat there waiting on the next train, my eyes wandered to this old, dilapidated structure across the tracks. 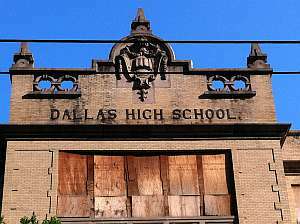 I was shocked when I read the lettering at the top of the building and I realized this was likely the original Dallas High School. What once served as a place of education now sat, boarded-up, overlooking the grand city that grew up around it. As I sat there in the late afternoon sun, a wave of sadness overcame me. I wondered what this building had been witness to over the years. Were children here the day JFK died less than a mile away? Did anyone famous walk the halls of this building somewhere in time? Some part of me hoped a non-profit would come along and restore the building to its once stately condition, but the reality is that the structure is probably too far gone. 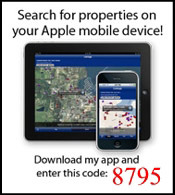 I suspect it will be torn down and condos, retail or both will be built on the site. Progress. My train arrived and the thoughts of the building were left behind. This evening I was pulling photos off my iPhone and came across the shot above. I felt compelled to put these thoughts into writing–a catharsis of sorts.